Tired of people telling you, "You can't bring your dog in here" In�D�g�Ne�t� Bag and Back-pak was designed just for that reason. 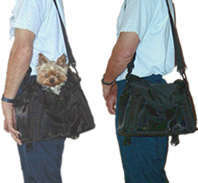 The In-Dog-Neeto bag & Back-pak lets you bring your little dog with you everywhere, without anyone knowing. You no longer have to leave him/her home alone when you go shopping or out to dinner with friends. He/she will be completely cozy inside, while no one suspects a thing. Our patented design lets your little one see out through one front and two side mesh panels. 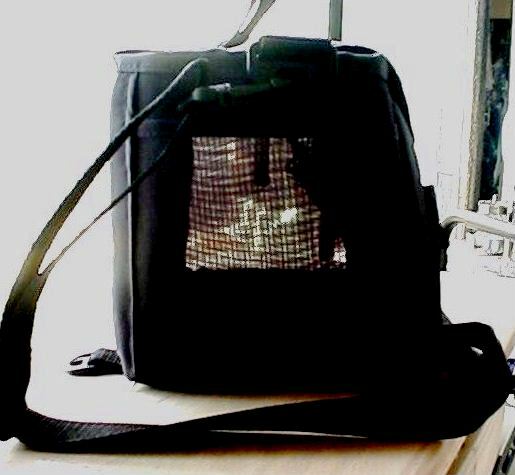 Each mesh panel has a mesh pocket on it to make it look more like an upscale bag or tote and keeps your little one completely hidden. He/she will be able to see out all three sides and breathe freely. Draw-string top allows easy in and out access for you, but he/she can only come out when you release the special locking spring clip. Flap over top for complete discretion. Inside has a removable soft velour pillow for your little ones comfort. Constructed of a lightweight nylon, the bag weighs less than 1lb. 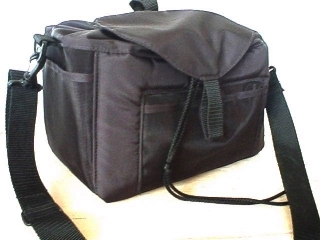 Back side has two deep pockets secured with velcro for your personal items. Exterior hard bottom allows bag to stand freely on it's own, without collapsing. If you are like most of us, we have at least 3 "dog bags" stuffed in a closet that we never use. Each bag is good for a different reason. 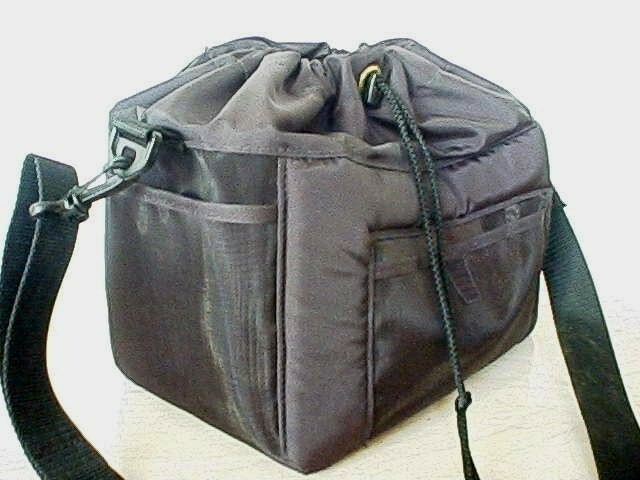 The In-Dog-Neeto Carrying Bag was designed by taking one thing from each of the bags we liked, and incorporating them into "one perfect bag". You will never buy another bag! The In-Dog-Neeto Bag will meet all your needs and expectations. Don?t put limits on the things you can do. . . . . .Do it all, with the In-Dog-Neeto Bag & Back-pak!